New research suggests public health entities could improve their estimates of influenza epidemic outcomes by paying more attention to behavioral differences between different demographic groups. Two of the main ways people can protect themselves by the flu—and thus limit the spread of infection—are pharmaceutical means and social behaviors. 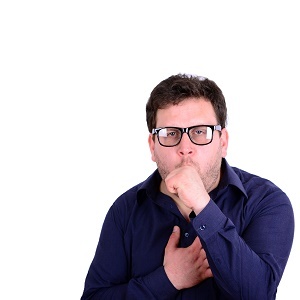 The primary pharmaceutical method of prevention is the flu vaccine, and key social interventions include social distancing from people with the flu and covering one’s mouth when coughing. While these factors can have a significant impact on influenza transmission, an international team of investigators from the United States, United Kingdom, and India noted that the rates of utilization of those strategies are not uniform across all demographic groups. Many studies, they noted, do not factor in this behavioral demographic heterogeneity. That’s a problem. “Predictions that do not take behavioral dynamics into account may be unreliable, and moreover, unable to effectively inform public health policies, especially the ones that target individual-level behaviors,” wrote corresponding author Achla Marathe, PhD, of Virginia Tech, and colleagues. To test out their theory, the investigators conducted a nationally representative survey asking American adults about their protective behaviors. They then incorporated those data into a model designed to predict the spread of influenza in an urban setting (Miami Dade County, in Florida) and a rural setting (Montgomery County, Virginia). They then compared their system—which makes estimates that include disparate behaviors among different demographic groups—to a “uniform” system that doesn’t account for behavioral differences. They found the latter could result in under-estimates. “We infer that a uniform compliance of social distancing and vaccination uptake among different demographic subpopulations underestimates the severity of the epidemic in comparison to differentiated compliance among different demographic subpopulations,” they wrote. Moreover, the finding held true in both the urban setting and the rural setting. The primary reason for the variance is young adults, the authors say. Young adults tend to practice protective behaviors at lower rates than average. These types of differences must be incorporated into analyses of influenza in order to create truly actionable insights, the authors argue. They also say that additional research into other geographic regions will likely further underscore the importance of demographic disparities in flu modeling. Furthermore, these demographic disparities can inform the way public health agencies target their prevention campaigns. “This is a subtle but important distinction to understand from public health viewpoint because complex models are being increasingly used to inform public health policy,” they wrote. By understanding and highlighting the fact that, for instance, younger people tend to protect themselves at lower rates, public health officials can look for ways to boost compliance among that specific population. The study, “Impact of demographic disparities in social distancing and vaccination on influenza epidemics in urban and rural regions of the United States,” was published in BMC Infectious Diseases. The corresponding author did not respond to a request for comment.